Grilled cheese sandwhiches are delicious any time of day, week, or year, but they are especially delicious after a long day of hiking, rafting, or any other activity that leaves you feeling tired and accomplished. Highly regarded as the "best beer bread on Earth" from our very own Tom Scarborough, river guide & outdoor extraordinaire, we prepare this recipe for guests on our river trips. Now you can make this bread anytime you want, which might be often because it is incredible. Enjoy! Warm, buttery biscuit, gooey overeasy egg, rich cheddar cheese, and hearty sausage, all melded together in one incredible sandwich. What more could you want after waking up to a cool, refreshing morning at camp? I found this recipe on The Jelly Toast blog, and it's a keeper! You may have figured out by now that we love cooking with a dutch oven. And we want to share that love with you! Below is a recipe from Everyday Dutch Oven that we whip up on many of our trips. One of the best parts of this recipe is that it only requires a few ingredients. Idaho is full of adventure for the outdoor enthusiast. Stanley, located just two and a half hours northeast of Boise, is a hub for hiking, biking, horseback riding, rafting and more. 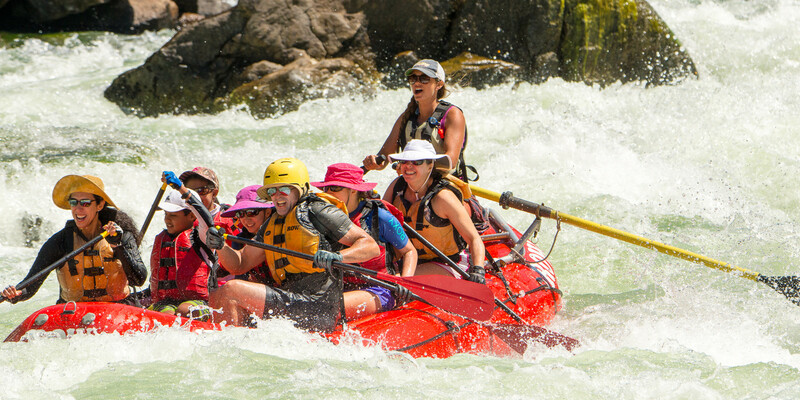 If you've ever been rafting on the Middle Fork of the Salmon, chances are you met up with you group in Stanley, and that is exactly where our Middle Fork of the Salmon trips start. Recipe from Camp: Holy Guacamole! Believe it or not, rafting a river builds up quite an appetite! Which is why we always provide a filling lunch and tasty snacks along the way. The wolf carries with it a diversity of meaning. For each person the wolf means something different.